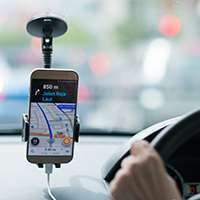 The Court of Appeal has upheld a 2016 ruling by an Employment Tribunal that Uber drivers are workers, entitled to paid leave and the minimum wage. The Employment Appeal Tribunal had previously upheld the decision and Uber now says that it will appeal to the Supreme Court. A spokesperson for Uber said: “This decision was not unanimous and does not reflect the reasons why the vast majority of drivers choose to use the Uber app. We have been granted permission to appeal to the Supreme Court and will do so.